Delivering exceptional consistency and reliability, our histology consumables and reagents are the first choice among leading hospitals and cancer centres. Overcome common tissue processing challenges with the complete line of Thermo Scientific processing products. 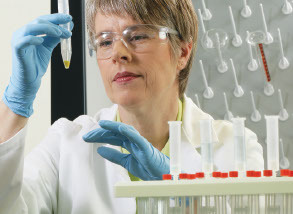 Embed with confidence by utilising high quality Thermo Scientific embedding supplies. Optimise your workflow and meet your lab's unique needs with our cryotomy products, from embedding media and freezing spray to high performance cryostats and accessories. Consistently achieve reliable, high quality sections with Thermo Scientific™ microtomy supplies. Providing the highest quality of detection systems for clinical and research applications, see our comprehensive selection of antibody panels and niche biomarkers, consistent antigen retrieval buffers and chromogens for multiple applications. For a comprehensive range of solution that includes stains and solvents for use in Histology, Microbiology, Haematology, Cytology and Parasitology. CISH, or chromogenic in situ hybridisation, may be used to evaluate gene amplification, gene deletion, chromosome translocation, and chromosome number. Collect your precious samples with confidence with our extensive range of Histology collection consumables.